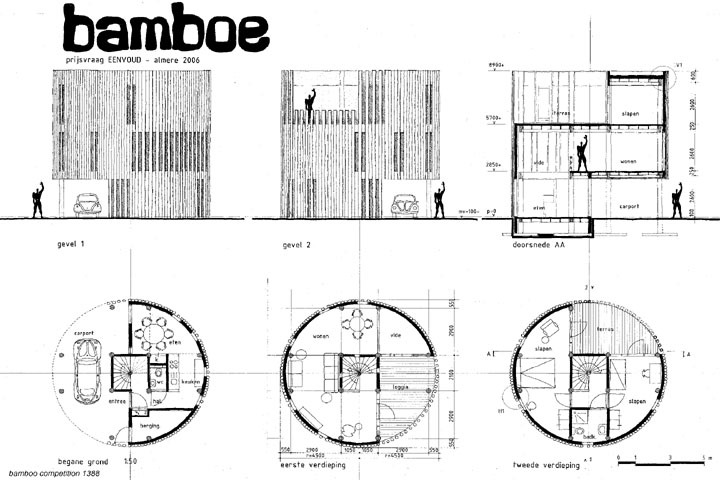 Designed for a windy Dutch landscape, the cylindrical design is suited for protection against the elements. 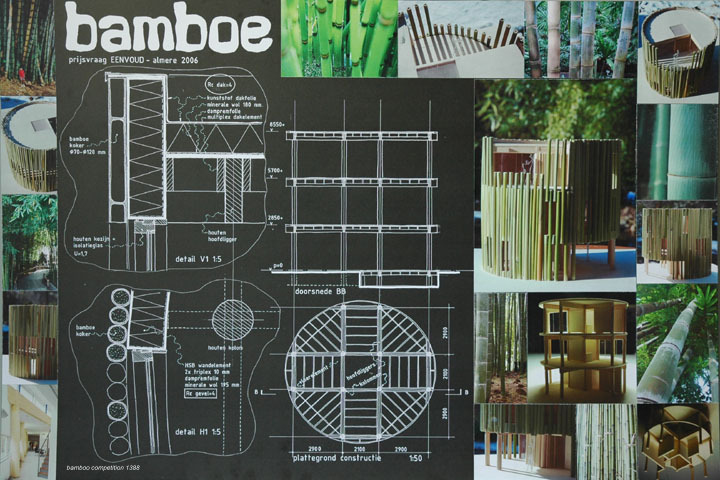 The load bearing skeleton consists of bamboo columns, beams, and flooring. The central staircase provides stability and mineral wool with vapor lock foil is used as insulation.